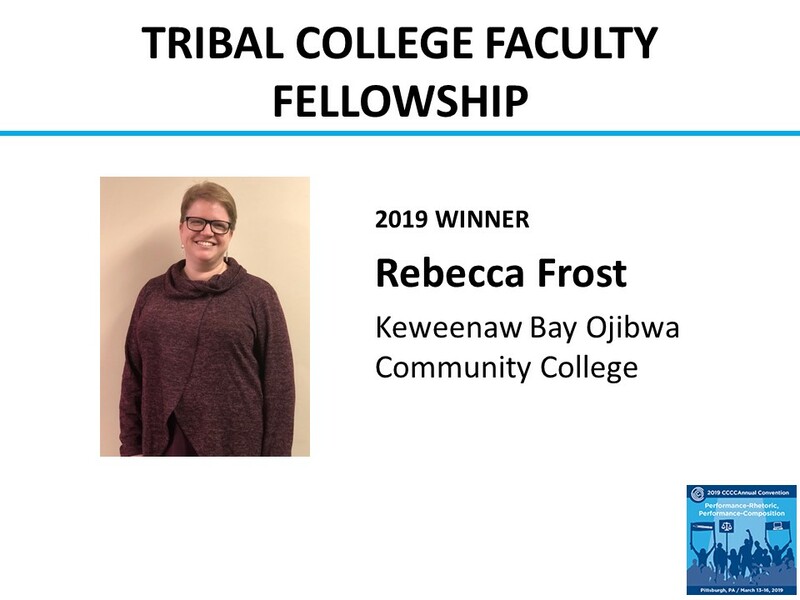 Purpose: The Tribal College Faculty Fellowship offers financial aid to selected faculty members currently working at tribally controlled colleges to attend the Conference on College Composition and Communication (CCCC) March 25-28, 2020, in Milwaukee, Wisconsin. We are offering two Tribal College Faculty Fellowships in the amount of $1,250 each. Featuring over 500 sessions focusing on teaching practices, writing and literacy programs, language research, history, theory, information technologies, and professional and technical communication, the annual CCCC meeting provides a forum for thinking, learning, networking, and presenting research on the teaching and learning of writing. 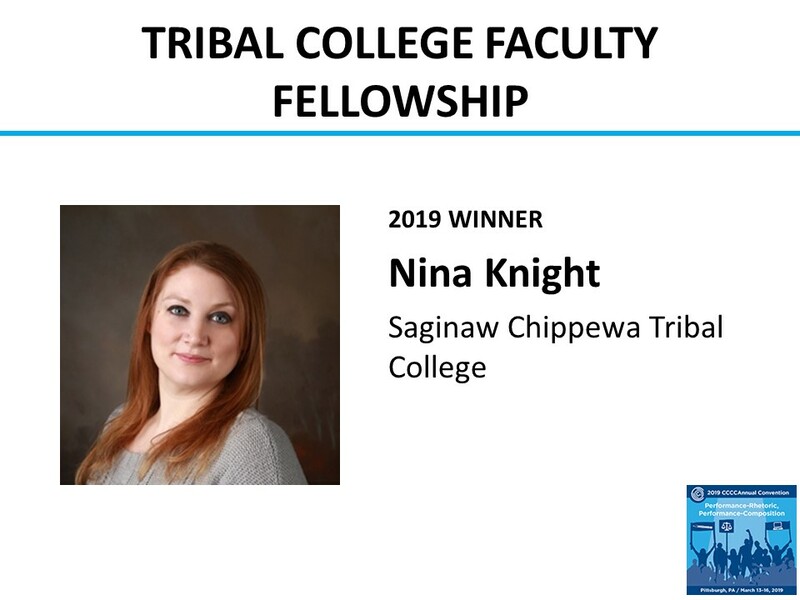 With this Fellowship, CCCC hopes to create new opportunities for Tribal College Faculty members to become involved in CCCC and for CCCC to carry out its mission of serving as a truly representative national advocate for language and literacy education. Eligibility: Open to faculty members currently working at tribally controlled colleges. You do not need to present at the CCCC Convention in order to qualify for this award. Award Criteria: A selection committee including American Indian Caucus members will review applications for the Tribal College Faculty Fellowship. Fellowship awards will be based on overall quality of the application letter. Visit the CCCC Convention website /cccc/conv, or contact the CCCC Liaison at cccc@ncte.org.